What's special about Sigvaris 170L Women's 15-20 mmHg Soft Silhouette Leggings? 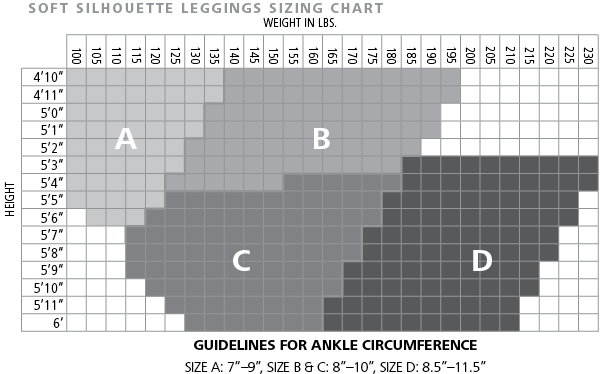 Sigvaris Soft Silhouette Leggings feature 15–20mmHg of compression at the ankle. The level of compression decreases up the leg to improve circulation, revitalize legs and help prevent varicose and spider veins. Sigvaris 170L Women's 15-20 mmHg Soft Silhouette Leggings. Juzo Soft Leggings 15-20mmHg - New!